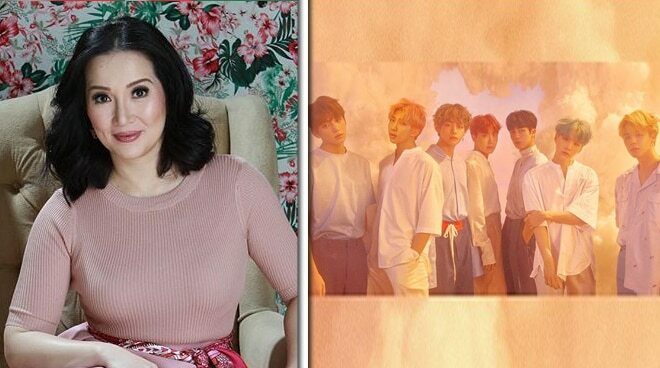 In a series of posts on Twitter, Kris Aquino professed her admiration for K-Pop group BTS. Kris admitted that she just recently discovered the boys of BTS because of their high-fashion outfit that caught her attention during their much-talked-about AMAs performance. The Queen of Talk also added that she eventually became a fan of their music. Yep, the boys now joined the likes of Demi, Taylor, and Selena in her list of favorite artists. Guess what her current 'LSS' is? It's "Best Of Me" from their latest album "Love Yourself: Her" which features Drew Taggart of American DJ duo The Chainsmokers. And oh, Kris also bought BTS' records on iTunes!